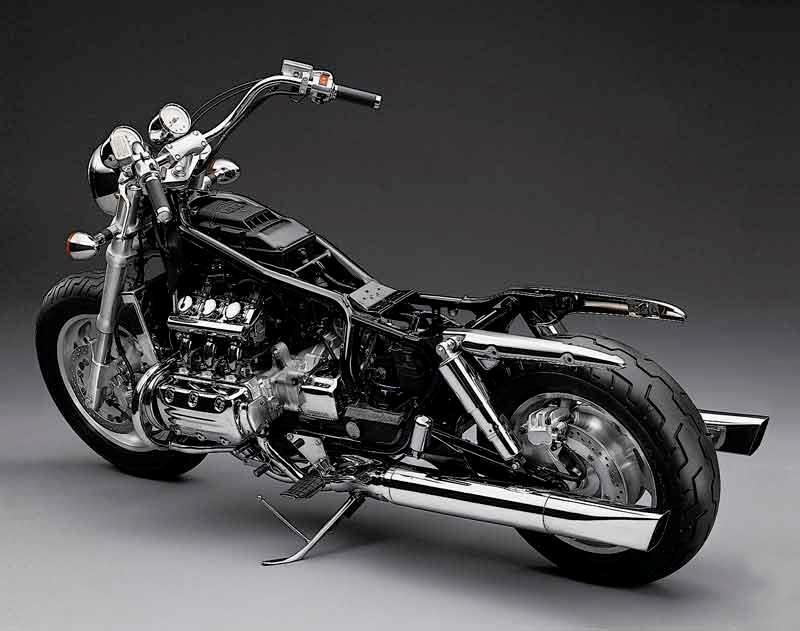 The Honda F6C Valkyrie is one of those traffic-stopping motorcycles that non-bikers are simply fascinated by. Basically a stripped down Honda GL1500 Gold Wing, with lower gearing and six carbs, the Honda F6C Valkyrie is actually reasonably good fun to ride and some might say it's best made motorcycle in America. The Honda Rune 1800 looks like some kind of Dan Dare spacecraft - mental. Here, the Honda F6C Valkyrie surprises many riders. So long as there's plenty of advance planning, the motorcycle can be made to go around a corner fairly fast ( for a cruiser) and still offers a luxurious ride on motorways. The Honda Rune 1800 is more ponderous, but then you'd want to travel slowly so people could stare for longer. 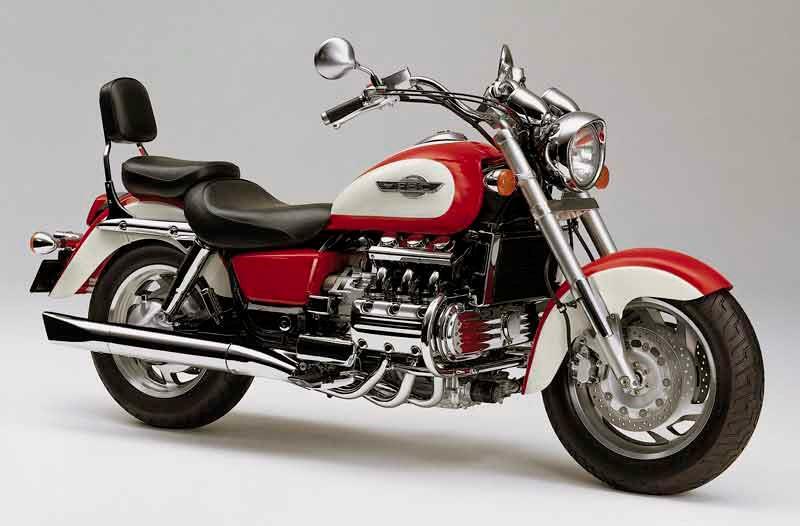 The Honda F6C Valkyrie's big problem for many cruiser riders is that it just isn't a V-twin. Instead a burbling flat six Honda GL1500 Gold Wing motor seems to sanitised for most, too damn quiet. 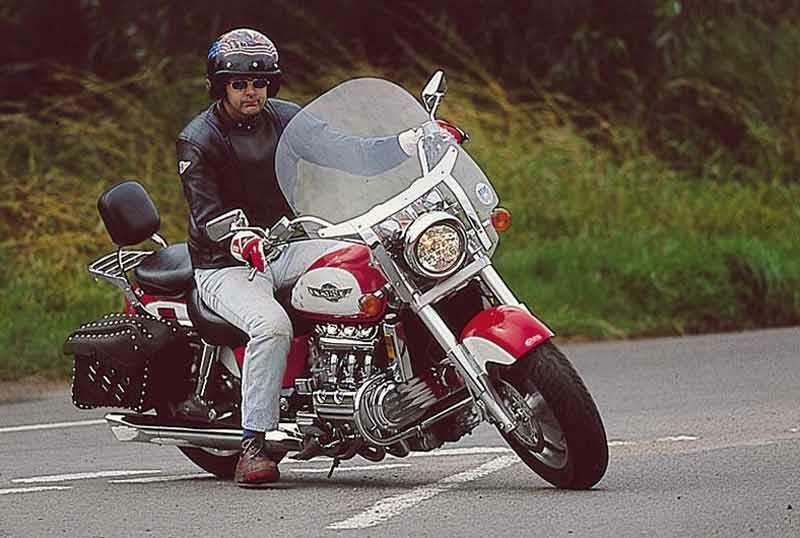 Sure, the Honda F6C Valkyrie's 100bhp motor is enough to send the thing whizzing along an unfeasible speeds, but it's easily out accelerated by the Triumph Rocket III, any old Yamaha V-Max and a whole boatload of rival power cruiser motorcycles these days. The Rune 1800 isn't really any faster. The Honda F6C Valkyrie rarely goes wrong, ever. It is a beautifully made motorcycle, with lavish chrome, thick paintwork and an engine that can cover 100,000 miles with basic oil/filter changes. 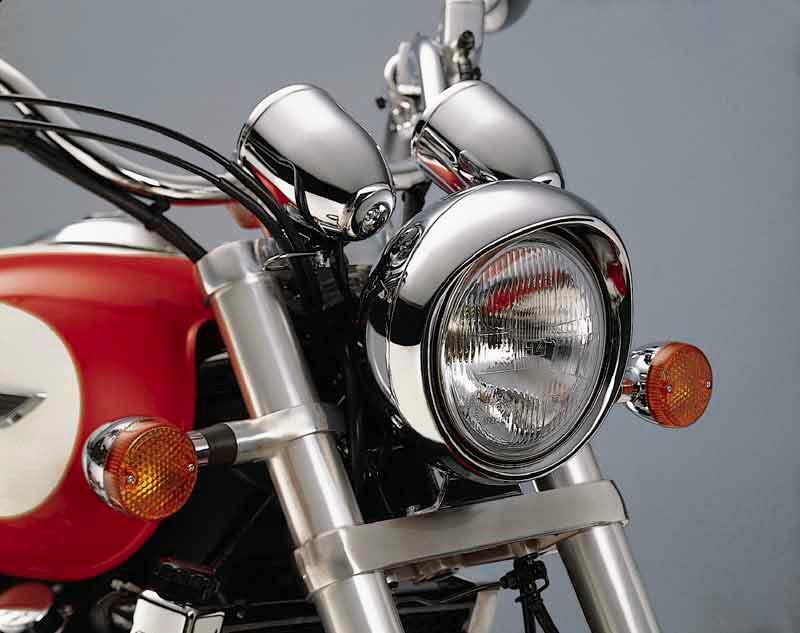 The main problem with the motorcycle is keeping its hundreds of nooks and crannies clean. Double that cleaning time on the Honda Rune 1800. For most of its life it was available as a personal import from the USA, and there aren't that many around, which keeps resale values high. 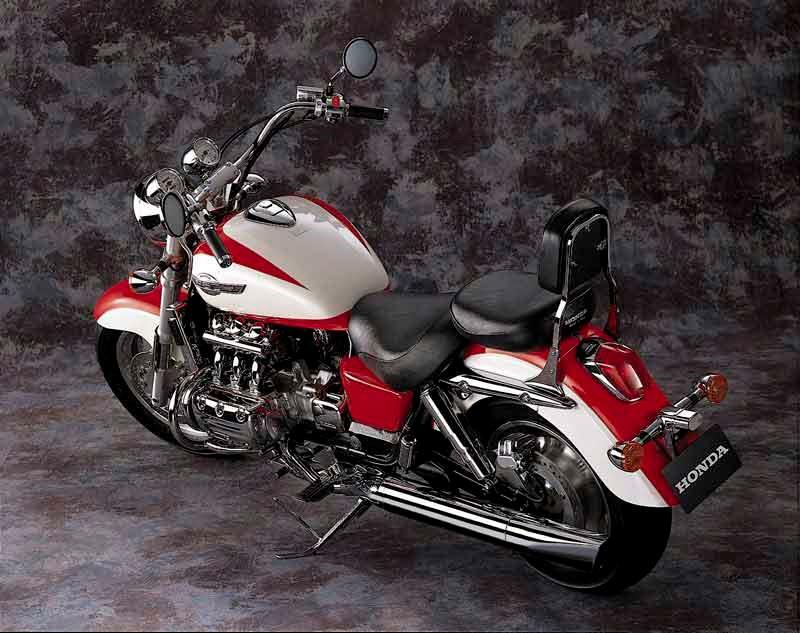 Honda F6C Valkyrie motorcycles with the hard luggage touring kit on seem to be sought after. Buy a good used motorcycle and you can five years biking for about two grand in depreciation. 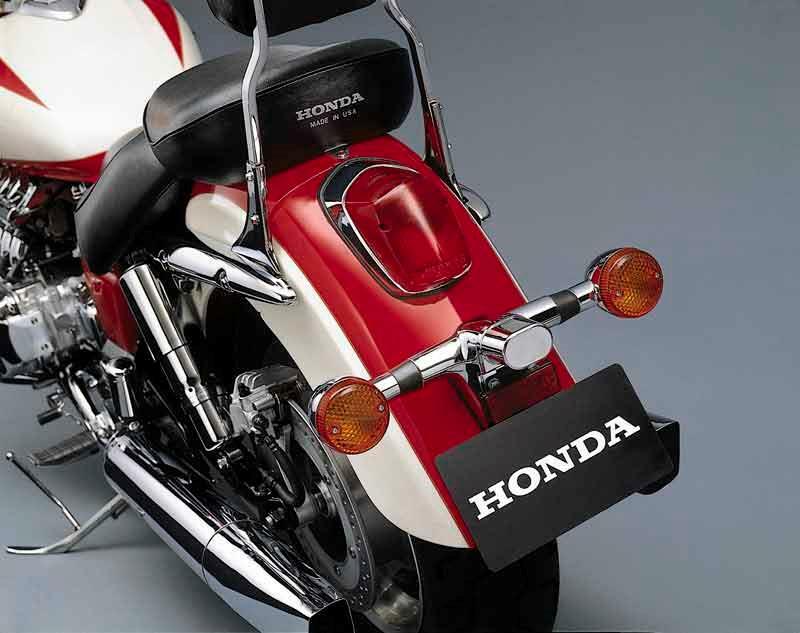 The Honda Rune 1800 costs big bucks and is for Lotto millionaires and poseurs only. Find a Honda F6C Valkyrie for sale. 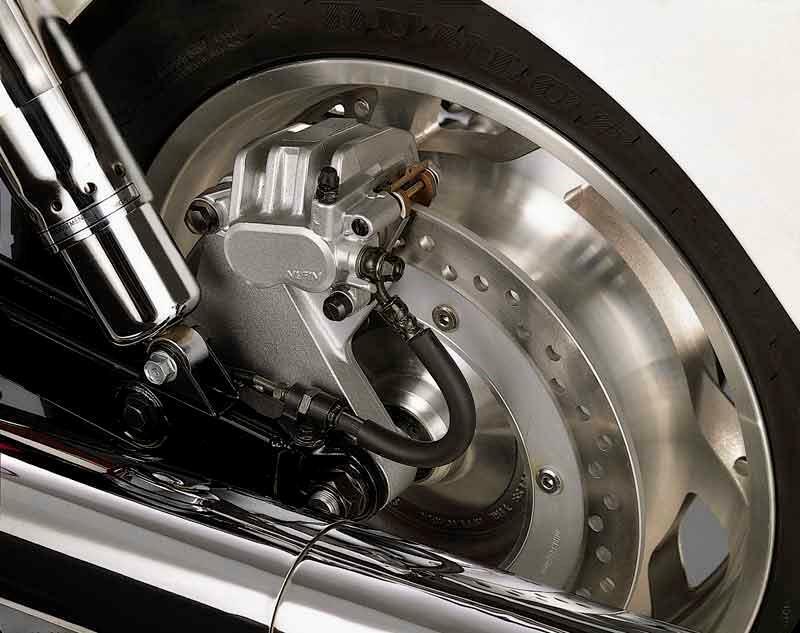 Huge brakes, beefy forks and a proper two person saddle are some of the useful features on the Honda F6C Valkyrie. It could use the reverse gear of the Gold Wing and there's no screen as standard on the Honda F6C Valkyrie. 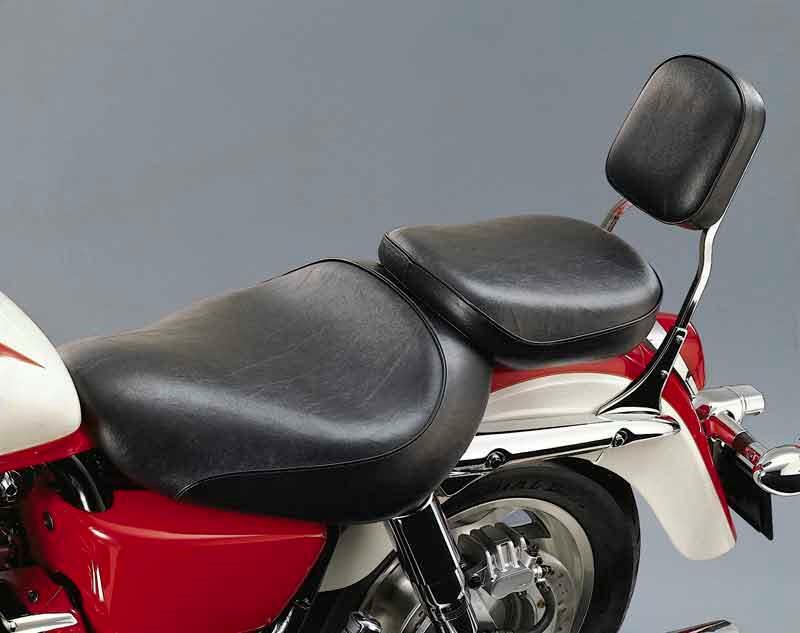 Naturally there's a whole phone book of accessories to be had, from both Honda and US aftermarket motorcycle accessory suppliers. Sci-fi bodywork on the Rune looks stunning. 1996: Honda F6C Valkyrie launched. 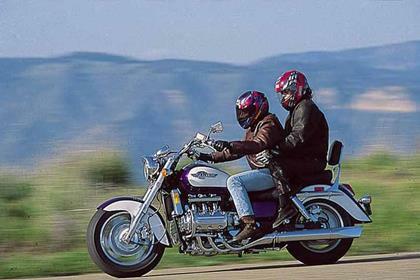 1997: Honda F6C Valkyrie Touring appears in US. 1998: Honda UK officially import F6C Valkyrie. 1999: Honda F6C Valkyrie Interstate launched in US. 2003: Honda UK drop F6C Valkyrie from their range. 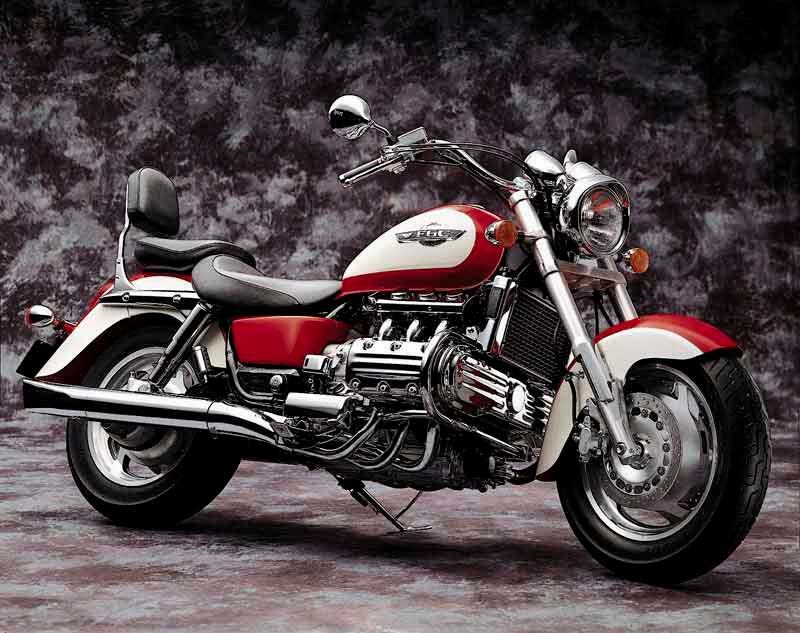 2004: Honda Valkyrie Rune 1800 Ltd Ed launched in USA. 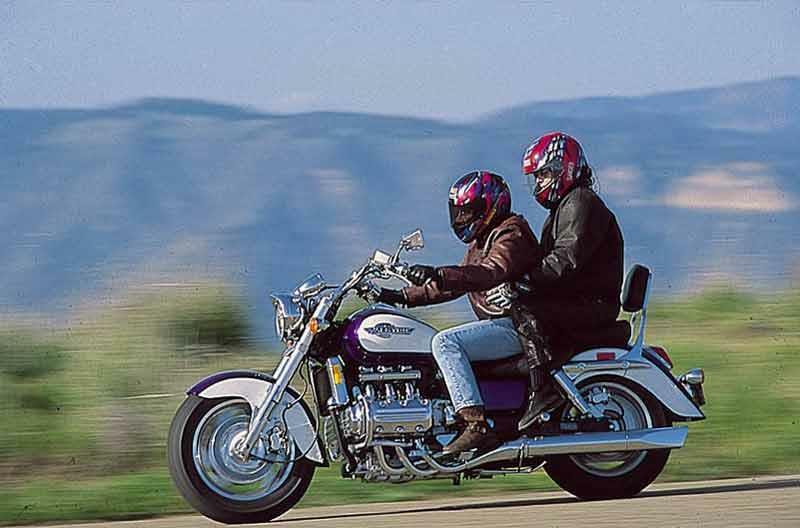 2005: US factory discontinues Honda Valkyrie Rune production. 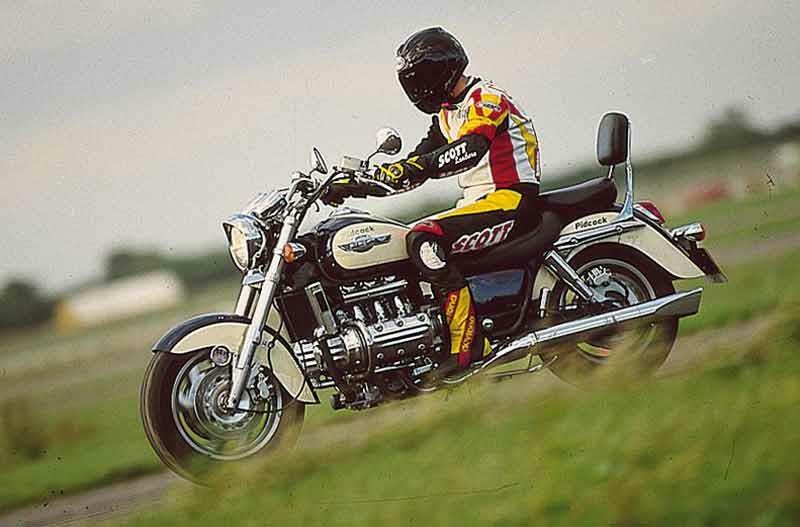 Honda Valkyrie Touring: As Honda F6C Valkyrie but with touring kit inc. luggage. Honda F6C Valkyrie Interstate: Varient of the above. Honda Valkyrie Rune 1800: All new model with space age styling. 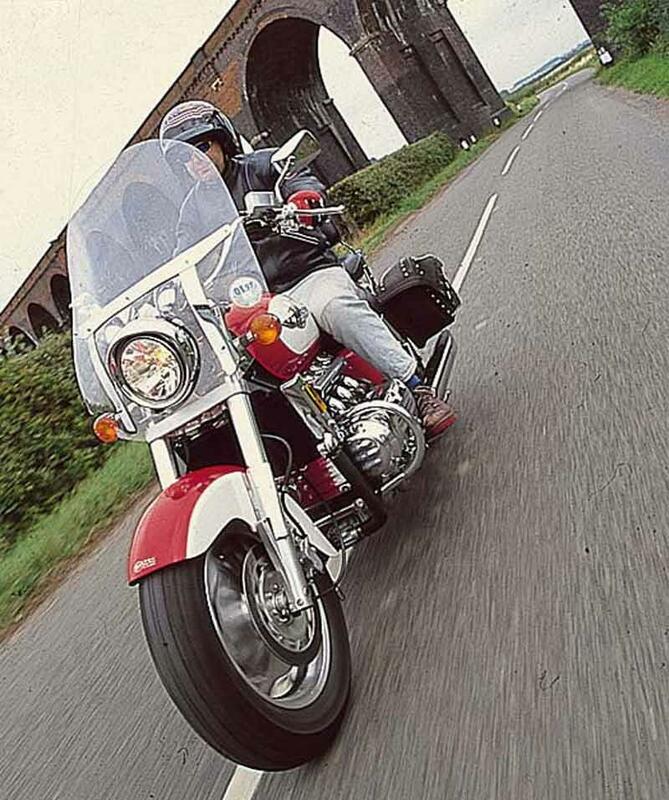 5 owners have reviewed their HONDA F6C (1996-2005) and rated it in a number of areas. Read what they have to say and what they like and dislike about the bike below. The F6C is the ultimate, reliable, well-built cruiser. The brakes could be better. The engine is solid and reliable. I get about 33mpg which could be better. There are many aftermarket parts that make this bike look a beast, all could have been added at source. I bought mine privately. It was advertised at £6500 but I paid £5800. The bike probably has £2k-£3k of aftermarket chrome on it. I have had a lot of back problems and this is the best bike I have ever had for ride. Handling is surprisingly good with a low centre of gravity from flat 6 cylinder engine. Stopping distance is pretty good and rated high for size of bike. I am a chief engineer and this engine is totally amazing in power and smoothness. Can stand a 1p coin on engine, start and rev up without falling over. The sound is totally intoxicating. Loud pipes are great for showing off, but can be tiring in long journeys. Probably the most amazing looking power plant in any motorcycle. The ‘F6C’ models are not the same as the ‘Valkyrie’ models. Amazing quality, robustness and reliability. Sensible to maintain and goes on forever. These Honda’s were made in Marysville, Ohio and are probably some of the best made Honda bikes ever. I’ve had a few fifth gen VFR’s, so know what good Honda quality is like! Amazing value bikes. Value only going one way now if you look after them. Likes a drink if you’re having fun, but equally content cruiser. No rubbish crap like rider modes, traction control, auto blip throttle. No bike can come as close to fulfilling ‘Motor-Bike’ description. With a screen and panniers, one of the best touring bikes made. Bought private as a third bike. Now after thinning down garage to just one bike, I bought another Valkyrie. Would not rule out another one. My wife would be displeased, but does think they look totally amazing bikes. Excellent bike. Do everything just fine. Bought a 600 transalp to ride in town, after 2 days back to valk.. Even in the city is fabulous. Touring is just a pleasure... 5th gear go everywhere. Can do 6.3 li/100km traveling smooth.. Only one complaint and happened on both I had.. European model has a foam pre filter in the cover of the airbox that rotten with age and its very difficult to go beyond 4009 rpm.. New cover and their she goes again.. Although very heavy, once moving handles almost like a scooter.. Don't like the breaks.. Although stops very good are the kind on-off.. Not progressive. Excellent... Just think that should have a 6th gear for cruising..
his is my third season on my valkyrie, and it turns heads wherever I go, it still looks like new, I have emptied the exhaust of silensers and it roars! it rides like a charm, sidewinds are not a problem on this bike, I have 10000$ of extra chromes worth on it, and it Shines!! Being an old v.twin rider though I have only one negative thing to say, it's not a v-twin.. it's something much more, but the hog sound is just not there.. it sounds awesome mind you, but more like a ferrari or a porsche. cool yes, but I would like more pounding sound it I could. Mileage is maybe not the greatest, but if you ride a bike for 25000 $ just for the fun of it, mileage is not an issue.. just annoying to stop for gas so often. every 3 hours you need to fill it up. I really like my bike! The F6C stands for “Flat 6 Custom” , how boring! In the states it’s called a “Valkyrie”. As all the Valks are made in the US of A I call mine a Valkyrie! Engine..Nothing is smoother than a 6 and it will pull from 800 rpm in top gear (20mph) but you have to hold the brake on as tickover is set at 1000rpm. High lift cams, 6 carbs, and manual tappet adjustment all contribute to a silky smooth powerful engine built for crossing continents in a day! Ride & Handling.. USD forks and reasonable rear shocks give this bike plenty of road holding. It doesn't particularly like small twisty roads and gets fidgety at slow speeds but that's not the cruisers domain. In fast sweeping bends there's no tail wagging it just tracks the corner perfectly. Equipment.. Up to your imagination. More accessories abound for this bike than any other although they are much cheaper directly from the US of A. My only gripe is there's no headlamp flasher! Quality and Reliability.. It would be easy to just say it's a Honda but it's THE Honda! All others pale into insignificance with the quality of this one. Lots of chreome as standard means a quick wash and rub down with a damp chamois bring it up beautifully. Reliability.. It eats it's own battery every 3 years, but that's not Honda's fault it's the battery manufacturer's! Value.. Very expensive new but what a lot of bike for your money. Keeps its value very well and recently appears to be rising in value. Performance.. I live in the real world and know what this bike will do. I average 40mpg whether at home or abroad. I get at least 160 miles to a tank full and I've seen 180 before refuelling and that was 2 up with 5 stone of luggage. The top speed is higher than MCN suggest and I've got SatNav data logging to prove it having frightened some poor person on a 600 sports bike by overtaking uphill on a slight bend! Probably thought he/she was being overtaken by a tractor when they saw the size of the front tyre in their mirror (it’s a 150)! Last words..My wife travelled from Clermont Ferrand to Belgium, Calais, through the chunnel and home (Nr Plymouth, Devon) in one go. 797 miles only stopping for food, toilets and her cigarettes (that’s the Belgium bit). We left Clermont Ferrand at 9am and got home at 1am without rushing. WARNING.. This bike attracts a lot of attention. You will be accosted at all times even by people driving by in town just to tell you what you already know..”That’s one beautiful bike mate!” Park this bike next to any other – yes, even Harleys – and people will stop and look at it, not at the plastic shod rockets nearby. You have been warned.